Tell us your story. How did Moose Run Adventures get started? Moose Run Adventures was founded in 1997 by a Canadian entrepreneur who wanted to show budget travellers the beauty and adventure of Canada, and in particular the off the beaten path destinations that they likely wouldn’t get to on their own. He was inspired by the successful examples of transportation networks for backpackers and independent travellers in New Zealand, and believed a similar model would work well in Canada. What makes Moose Run Adventures different from your competitors? After 20+ years of operating in Western Canada, we know every corner of our region of the world and how to maximize our travellers’ experience here! We’re a budget transportation network, operated BY travellers FOR travellers. A few years ago we streamlined our tour operations to make them more efficient, by optimising the number of departures we offer per season. The result was a huge improvement in the financial success of the business. What can we expect to see from Moose Run Adventures in the future? That’s top secret info, but let’s just say more amazing adventure tours around North America! A greater demand for experiential travel, although Moose Run has always been about the active experience, given that this is the main draw of Western Canada. That being said though, our travellers do need more creature comforts than they used to! We load a lot of very large suitcases into our vehicles these days, whereas it used to be that everyone was carrying a proper backpack! And of course, everyone needs to stay constantly connected online, so it’s nice to see our passengers connect in person and truly get back to nature in our wilderness destinations where they can’t access the internet. But on that note, another trend is the rise of bookings we receive through OTA’s. How do you work to ensure the health and safety of young travellers involved with Moose Run Adventures? Staff training is very important, whether it’s driver safety training on the road, or office staff training on emergency preparedness. We recently conducted a safety audit of the business, and we continue to update our safety and crisis management plans. A big part of our safety plans involves evaluating the risks our operations face in this part of the world, such as earthquakes, wildfires and flooding, and ensuring we have procedures in place to deal with said risks. We want to be part of a global youth organisation related to travel within which we can share information and experiences with similar companies. We’ve previously attended WYSTC. It’s great for meeting with existing partners that we rarely get a chance to meet with otherwise, all under one roof. And of course, the opportunity to meet with new potential partners is also very beneficial, as is the general industry networking we can do at WYSTC. Finally, we often use the event to launch new products. Safety and risk management. For example, we need to be prepared for global threats, both real and perceived by our travellers. It affects our marketing, operations, finances, etc. 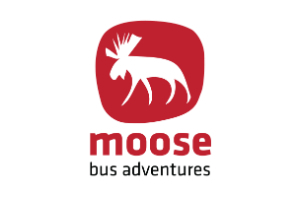 Moose Run Adventures, aka Moose Travel Network – West, is an adventure tour and transportation network for backpackers and budget travellers in Western Canada and the USA. Based in beautiful Vancouver, British Columbia, we offer 12 travel passes, departing from either Vancouver or Banff, with hop on/off flexibility in both of those locations. Major destinations include Banff and Jasper National Parks, Whistler, Vancouver Island, and new for 2018, Seattle and Portland. Our passes include transportation, the services of a driver/guide, and a select few activities and meals. We make stops en route for free sightseeing, walks and hikes, and we also organise optional adventure activities that our travellers can choose to participate in for an extra cost. We also reserve hostel dorm accommodation in overnight locations for our travellers. They have a choice to pay for the full accommodation package in advance, pay direct to the hostel on arrival, or book and pay for their own accommodation elsewhere.